Visit Muskogee to attend the annual Art Under the Oaks Festival and Market. This event features arts and crafts from the Cherokee, Choctaw, Muscogee Creek, Chickasaw and Seminole Nations. There will be a native encampment, basket weaving and flint knapping demonstrations, as well as live music and even traditional Native American foods. 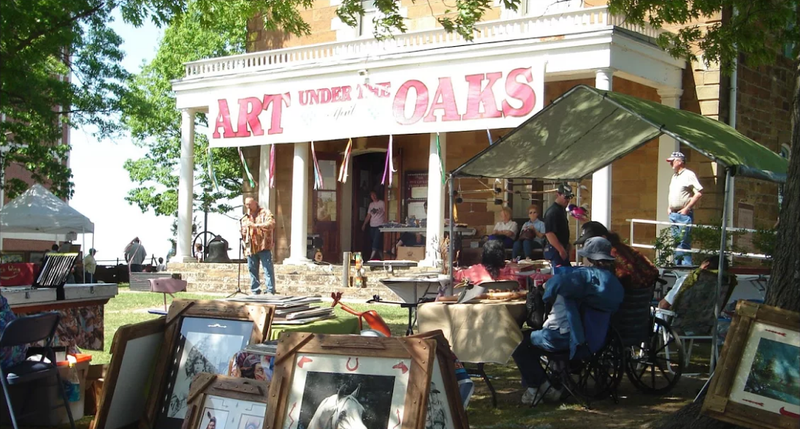 Art Under the Oaks Festival and Market is held on the lawn of the beautiful, historic Five Civilized Tribes Museum during Muskogee's famous Azalea Festival each spring. Located right off Highway 62/69 near the entrance to Honor Heights Park.